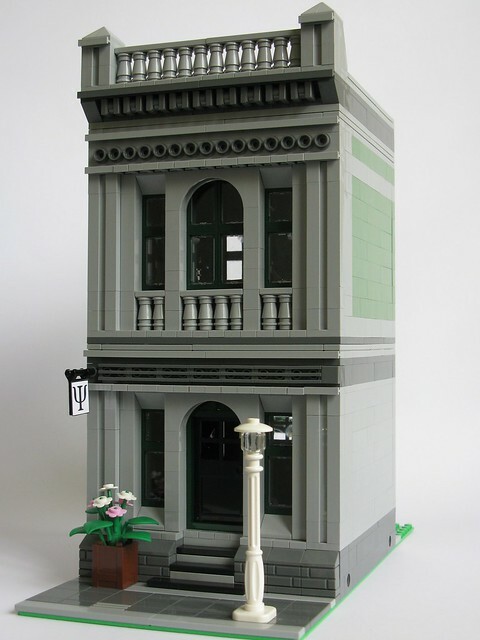 This design is based on an MOC originallybuilt in November 2012. It was inspired in part by the facade of a bank building in Brisbane, Australia. The modular building is fully furnished with a reception ares downstairs and doctor's office upstairs. Note that the instructions have a bicycle rack out the back rather than the tree that you see in the photos of the original, as that was not my own design (it was designed by Mark Falworth).